Rent an electric boat for half a day or a whole day and float on the puddles of the beautiful recreation and nature reserve De Gouden Ham. 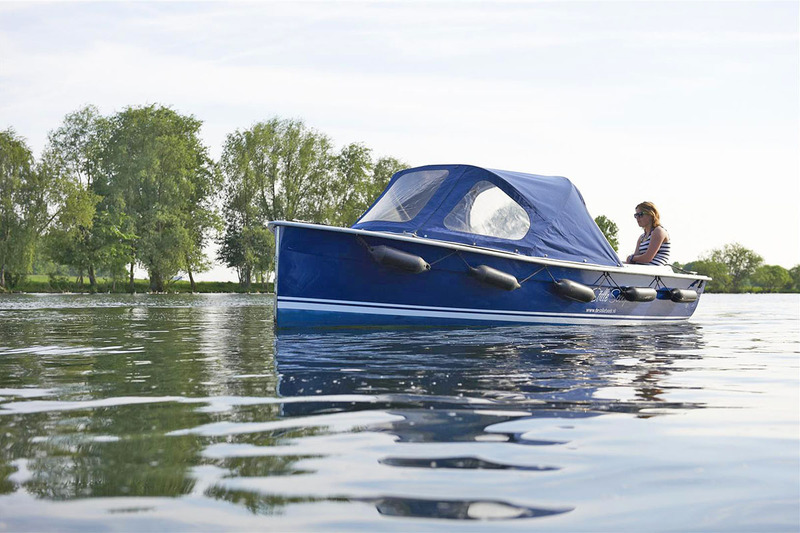 Explore De Gouden Ham area from the water in an electric boat. 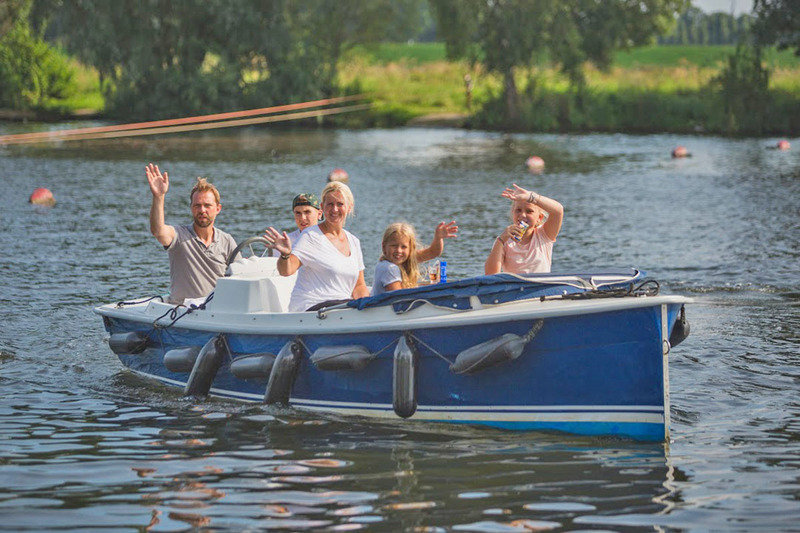 Enjoy a day or afternoon stress-free boating in an electric boat on the ponds of De Gouden Ham area in Appeltern. De Gouden Ham is a true water sports paradise! Here there are several swimming beaches and terraces where you can moor. Boating here is surprisingly simple and wonderfully quiet. The boat is luxuriously equipped for optimal comfort. Against bad weather conditions, the boats are also equipped with a convertible top. Explore the surroundings on an unforgettable day on the water. Book a package to combine your boating experience with a delicious dinner. 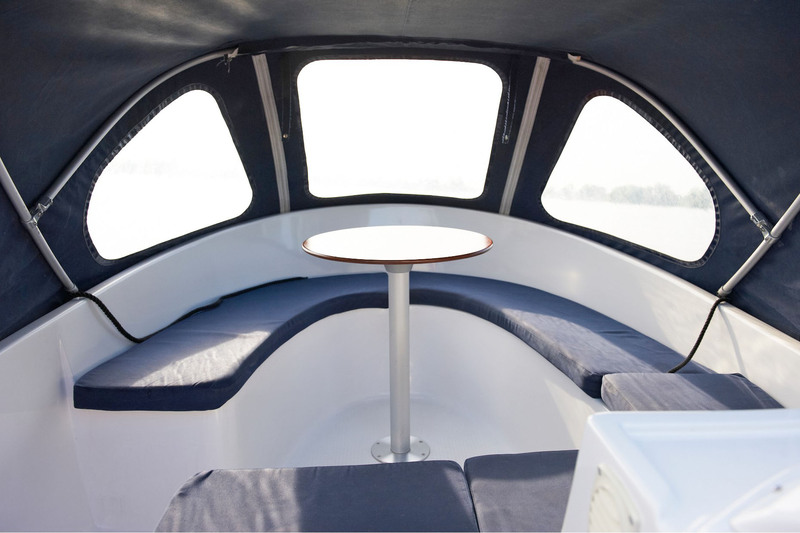 Discover Maas and Waal area from the water with an electric sloop. After a nice afternoon bobbing on the water, you can enjoy a delicious 5-course surprise menu under the windmill of the beautiful Korenmolen restaurant. A nice afternoon out with friends, family or colleagues. Complete the enjoyment with an overnight stay by the Meuse river. Relaxing 2 or 3 days out and doing nothing else but bobbing on the ponds of the De Gouden Ham water recreation area in an electric boat. Along the way you will find several beaches where you can moor for swimming or picnics. This multi-day package includes an atmospheric 3-course dinner, overnight stay and breakfast. Explore De Gouden Ham from the water from an electric sloop. Riverside Outdoor & Events provides boat rental. Do you want a nice picnic basket on the go? Moeke Mooren will prepare a delicious and summery basket for you. Come aboard the luxury passenger ship De Sluizer. The Sluizer sails different tours through the beautiful Land of Maas and Waal. Jump on your bike and get to know a beautiful cycling area. Discover the most impressive cycling routes from and around Moeke Mooren.